austindogandcat.com: What "no-kill" looks like: Tippy lives at over-crowded shelter: Can you help? What "no-kill" looks like: Tippy lives at over-crowded shelter: Can you help? from: AUSTIN (KXAN) - KXAN pet of the week is Tippy. Little Tippy was rescued from an unsanitary "puppy mill" situation near Austin a few weeks ago. She's a little shy - she hasn't had much experience out in the world, and she needs some dental work done, but she's just one of hundreds of wonderful pets of all shapes and sizes we have available right now for adoption through the City of Austin's Animal Services Department. 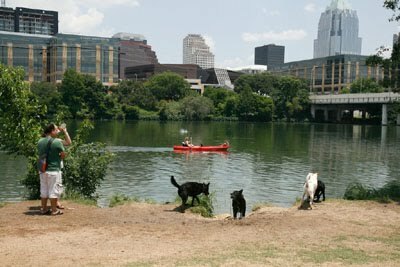 The Austin Animal Center, located at 7201 Levander Loop, has taken in 25% more animals in the last month than they did last year, so the new Austin Animal Center shelter in east Austin continues to be over-flowing, and they’re also housing dogs at the old shelter - Town Lake Animal Center on Cesar Chavez, near Austin High School. Rowland says they also have hundreds and hundreds of pets in foster homes all over town, so there is NO SHORTAGE of animals to choose from. Now that we've seen that dog breeders/NK are incapable of animal shelter operations, perhaps we can get back to working on the true reasons why shelters euth so many animals: breeders, irresponsible public, lack of spay/neuter laws and ........breeders.